A remarkable achievement by a single author. Concise but informative. No geneticist or physician interested in genetic diseases should be without a copy of this remarkable edition. American journal of medical genetics more than ever, a solid understanding of genetics is a fundamental element of all medical and scientific educational programs, across virtually all disciplines. And the applications and implications of genetic research are at the heart of current medical scientific debates. Completely updated and revised, the color atlas of genetics is an invaluable guide for students of medicine and biology, clinicians, and anyone else interested in this rapidly evolving field. 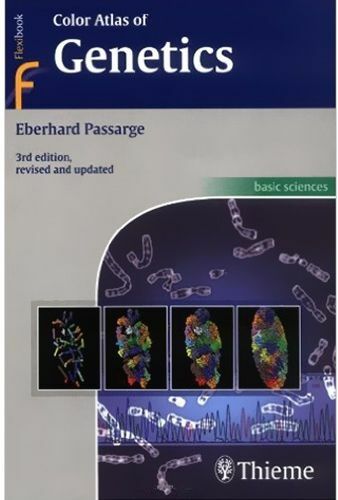 The latest edition of this highly praised atlas retains several popular features, such as the accessible layout and logical structure, in addition to many novel features and 20 completely new color plates on new topics, including: cell to cell communication, including important signaling and metabolic pathways taxonomy of living organisms ("tree of life") epigenetic modifications in chromatin apoptosis ran interference (ran) comparative genomic hybridization origins of cancer principles of gene and stem cell therapy, etc. With more than 200 absorbing full color plates concisely explained on facing pages, the atlas offers readers an easy-to-use, yet remarkably detailed guide to key molecular, theoretical, and medical aspects of genetics and genomics. Brief descriptions of numerous genetic diseases are included, with references for more detailed information. Readers will find that this incomparable book presents a comprehensive picture of the field from its fascinating history to its most advanced applications.